Kung Pao Fresh prides itself in offering quality fresh food that is available at more expensive dine-in restaurants but at an affordable price. Ingredients are prepared fresh every day. Kung Pao is a spicy dish originating from Sichuan Province in China. The Sichuan peppers in the dish are both spicy and mouth numbing. The dish is believed to be named after Ding Baozhen (1820–1886), a late Qing Dynasty official, and governor of Sichuan Province. His title was Gongbao (Kung-pao; Chinese: 宫保; pinyin: Gōngbǎo; Wade–Giles: Kung1-pao3; literally: "Palace Guardian"). The name "Kung Pao" chicken is derived from this title. Kung Pao Fresh prides itself on creating everything from scratch. Free of artificial flavors, our soup base is prepared fresh daily. We make our own chicken stock by boiling chicken bones until all nutrients and flavors are infused into the broth. 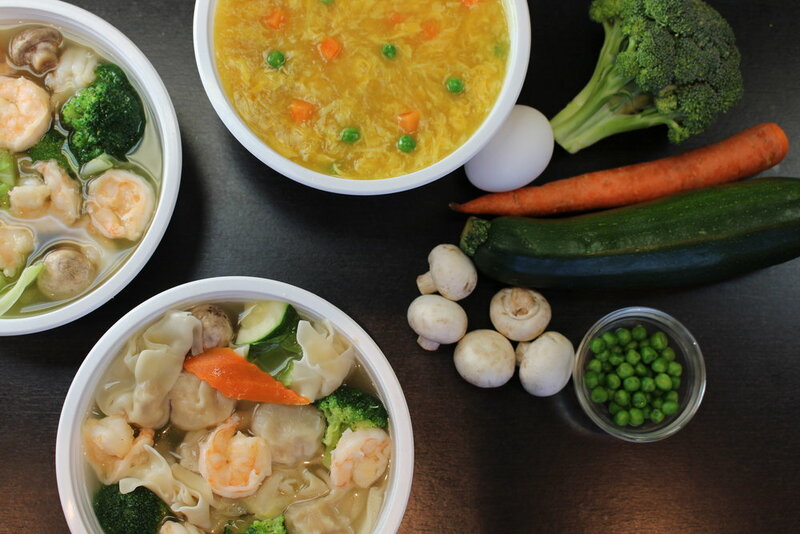 You will be able to experience our broth in our Egg Drop Soup, Wonton Soup, and Shrimp Vegetable Soup. The owner of Kung Pao Fresh started his career opening large dine-in restaurants with large catering customers. Because of his vast experience with larger customers, Kung Pao Fresh is capable of offering same-day catering solutions for any size company or party. Please call us at (562) 949-0405 for catering options.